In the Middle of 29.5 Acs is This All Brick Traditional w/ 4000+ Sq Ft, 9 ft ceilings. Secluded but not Isolated. 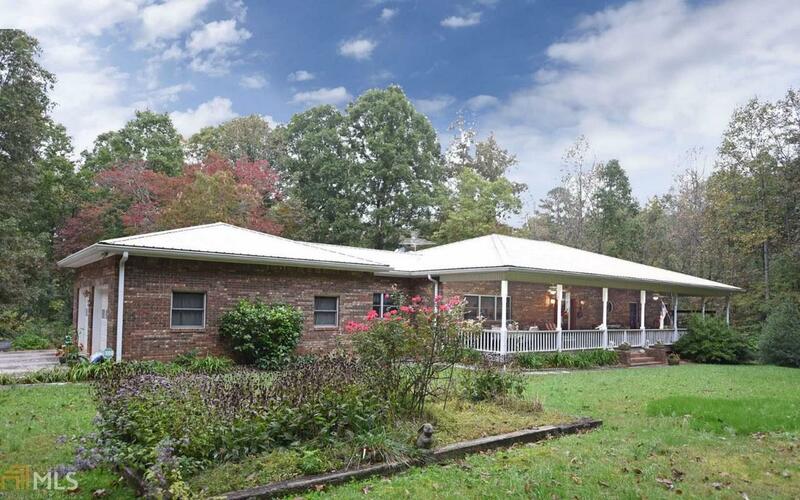 Gentle Woods w/ Lots of Hiking Trails & babbling Branch along the ppty line. 20x40 Barn w/ 12' sheds on 2 sides. This all Brick home Features 4BRs/3.5 BAs, 16x34 Kitch/Dining Rm w/ Custom Built-in Display Shelves + Cabinets. Massive Center Island is perfect for Prep & Entertaining. Southern styled Porch welcomes u into The Entrance LR which is actually 2 gathering areas. Custom Library/Display Wall + Masonry Fireplace w/ gas logs, Jetted Tub in Guest BA. Generous rooms + Closets. Sunroom/Office Leads to a screened porch & open Deck. 2 car gar on main + 1 car gar in lower Daylight Level. Mudroom w/ sink and commode. Lwr lev w/fam room + 2 BRs.